If you’ve been looking for a sign to leave your dull 9-5 and work in the fast-paced, dynamic world of pot instead, here’s one for you to think about. According to a report by Calvin Hughes, the cannabis industry now employs more people than librarians and pilots. The figures only continue to grow. And we aren’t talking about minimum-wage jobs in the pot industry: many high-demand positions such as agriculture pros, retail managers, and extraction technicians are among those who earn competitive salaries and packages that are tempting enough to leave your corporate job for. The data was taken from a recent report from Statista and Marijuana Business Daily, all summed up in an infographic made by Cali Extractions. The year on year increase was significant, considering that there were around 125,000-160,000 workers in the cannabis industry last year, when in 2017 there were just 90,000-110,000 workers. These figures are much more than the number of people working as librarians or pilots. “Since 2016, revenue from cannabis has almost doubled – not many industries can show that kind of growth, even in the salad days,” says a statement from the infographic. Last week, CNBC released an article discussing the 5 industries which would make for a safe career, one that they referred to as “future-proof” based on a McKinsey Global Institute Report stating that 375 million jobs will disappear by 2030. Though the 5 industries mentioned (analytics, cybersecurity, health care for the elderly, renewable energy, and drones) didn’t include cannabis per se, it was included as an industry to watch. 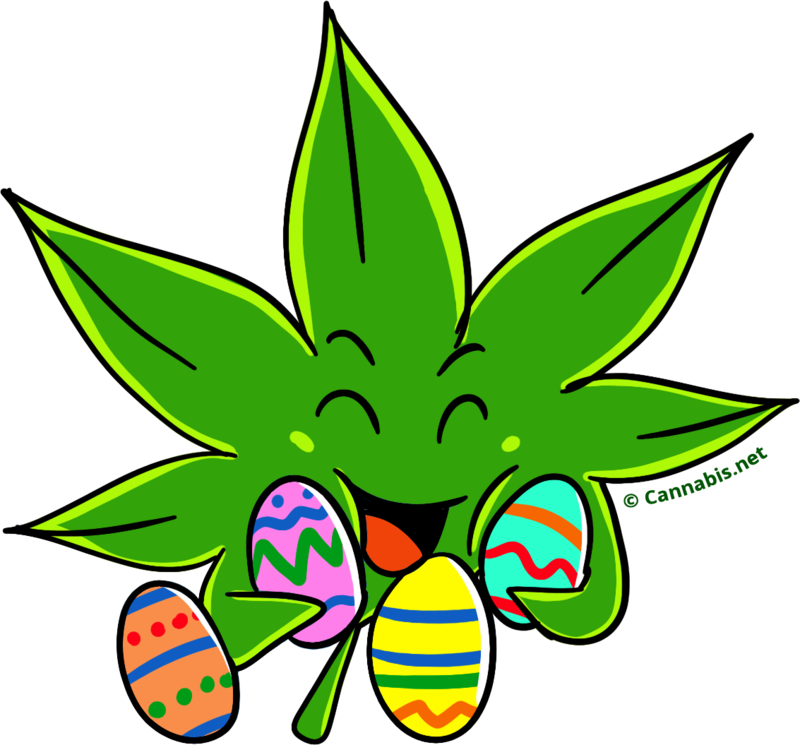 As of the time of writing, recreational cannabis is legalized in 10 US states while medicinal use is legal in 33. CNBC states that if cannabis ever becomes legal at the federal level, this would spawn a million jobs easily just within the United States. It also explains that automation contributes to the growth of the cannabis industry, but the new jobs that may be created can work with automation, resulting in a “low risk of replacement,” which gives peace of mind to many of those who are affected by the loss of jobs incurred by automation. Individuals interested to start a career within the cannabis sector can begin simply by applying their background in finance, marketing, medicine, agriculture, biochemistry, law, operations, and many more. A report released by recruitment and job placement firm Vangst earlier this year revealed that the demand for jobs in the cannabis industry isn’t limited to just bartenders or trimmers. Quite the opposite, in fact: while budtending and grow house jobs continue to be in demand, there are professional positions in compliance, operations, and finance that are up for grabs. The demand for these positions spiked 690% from January 1, 2017 to August 1, 2018 according to data taken from job listings on Vangst combined with reports from 1,200 cannabis businesses around the United States. Director of extraction and director of cultivation were among the most popular job titles used. If you want in the industry purely for the cash, well, if you do your job well, there’s a lot of that there for you too. The report states that cannabis industry salaries rose 16.8% between 2017 to 2018. But just like in other industries, the higher the position, the more greens you’ll get paid BUT you’ll also have to have sufficient knowledge and training. Compliance managers, for example, will need to have a solid understanding of the complex world of federal and state laws. Finance managers and directors should know how to navigate the world of banking, one that is still quite elusive to cannabis businesses because most sellers and growers do not yet enjoy access to financial services. Considering how quickly legalization is spreading through the United States, it only makes sense that the number of jobs continues to grow. It’s also becoming more widely accepted as a legitimate industry to work in, with professional and white-collar jobs on the rise – which pay even better than many corporate jobs today. Looking for a cannabis job, check our cannabis job board, click here. 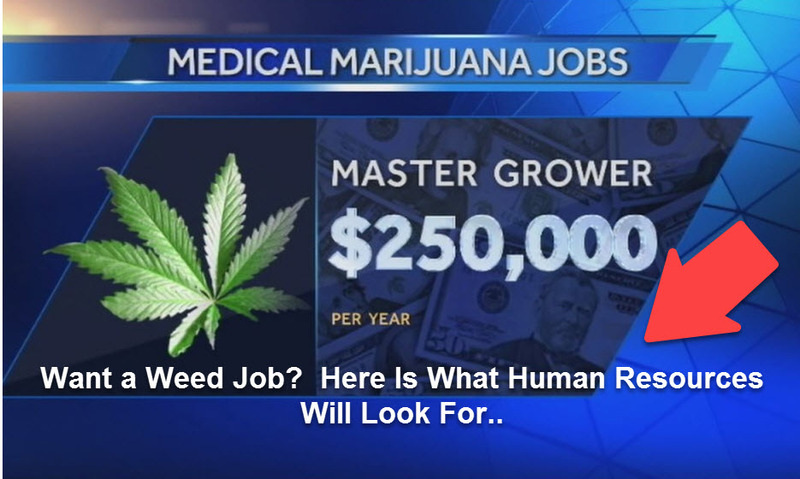 HOW DO YOU GET A MARIJUANA JOB, READ THIS, CLICK HERE. 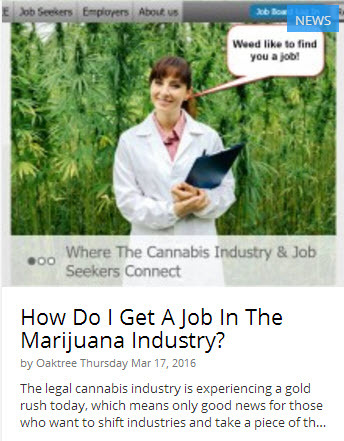 HOW TO GET A JOB IN THE WEED INDUSTRY, CLICK HERE. 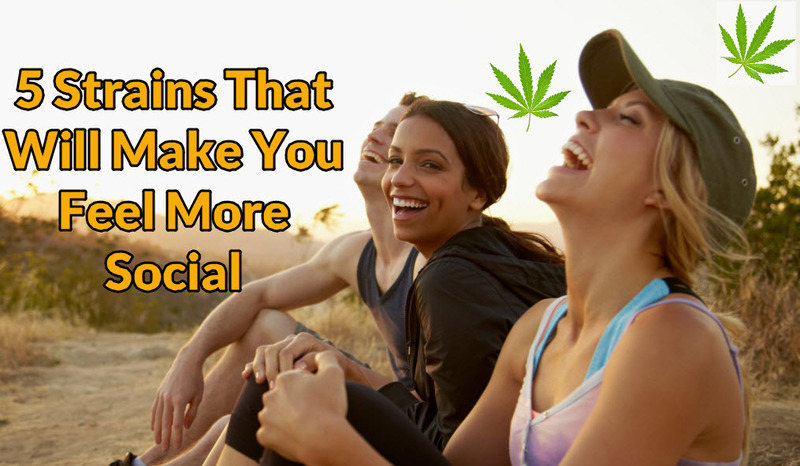 Certain cannabis strains can help you feel more social and talkative around people. These strains are ideal for medicating before you have to face a stressful situation that involves other people. 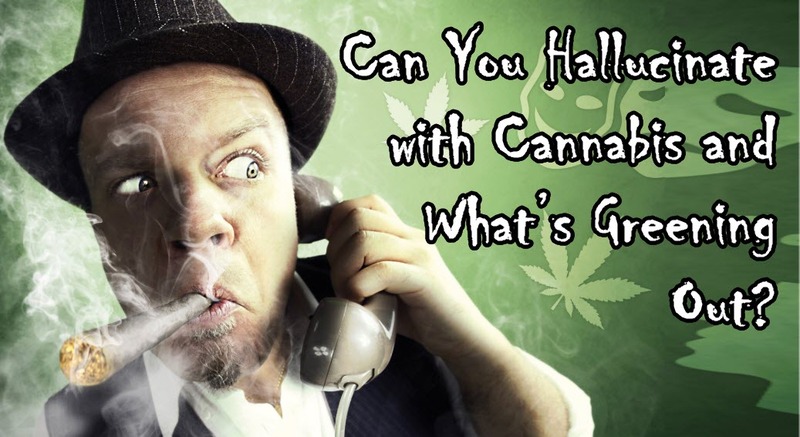 Can You Hallucinate with Cannabis and What’s Greening Out? Greening Out is something that happens when you mix alcohol and cannabis. When one ‘Greens out”, they are sent into a pseudo-hallucinogenic state mixed with a heavy drunk. Definitely not a pleasant experience.